CHARLESTON, S.C. (July 27, 2018) – As the International African American Museum’s Founders Fund approaches the finish line, it has received a $500,000 pledge from the Fluor Foundation, the philanthropic arm of the Fluor Corporation. Fluor has had a presence in Greenville, South Carolina for decades. The $19 billion company, based in Irving, Texas, has nearly 60,000 employees worldwide. 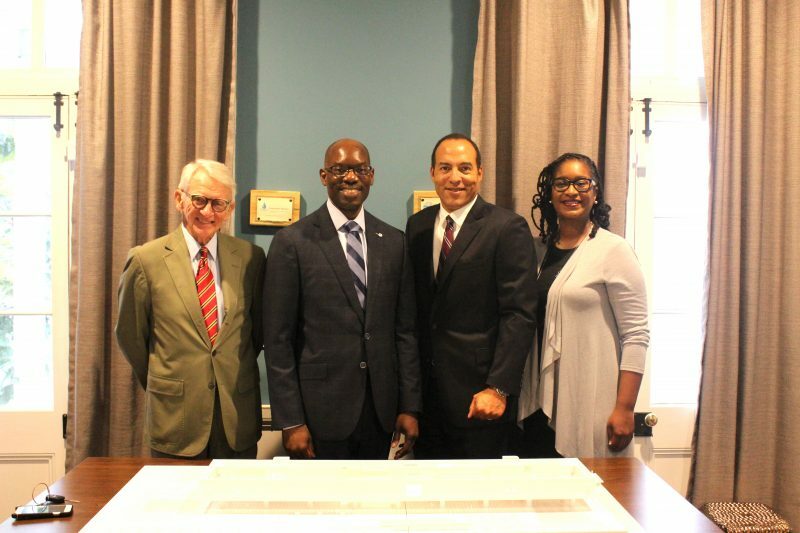 This leadership investment will be recognized in the African Roots Gallery, which situates Africa and Africans as central to the overarching narrative of the IAAM. Focusing on major regions in the Upper Guinea Coast and West Central Africa, and the diverse ethnicities within these regions that represent the origins of African ancestors in North America, the exhibit will give visitors a picture of the cultures, knowledge and technologies that Africans from these regions brought to the Americas through the forced migration of the Trans-Atlantic Slave Trade. All of the museum’s galleries will be designed as immersive, interactive learning experiences by the team at Ralph Appelbaum Associates. These kinds of exhibits provide visitors with hands-on educational opportunities, one of the museum’s central goals. Founded in 1912,Fluor Corporation(NYSE: FLR) is a global engineering, procurement, fabrication, construction and maintenance company that transforms the world by building prosperity and empowering progress. Fluor serves its clients by designing, building and maintaining safe, well executed, capital-efficient projects around the world. With headquarters in Irving, Texas, Fluor ranks 153 on the Fortune 500list with revenue of $19.5 billion in 2017 and has more than 56,000 employees worldwide. For more information, please visit www.fluor.comor follow Fluor on Facebook, Twitter, LinkedInandYouTube.